Stay connected to your closest friends & family. All the time. From anywhere. 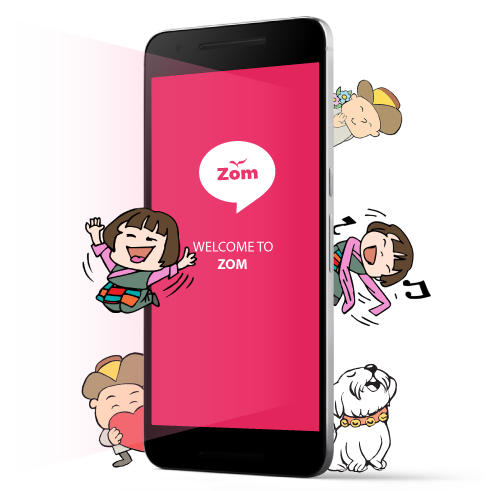 Zom is a place where friends can be friends, and you can always speak your mind freely. Free & open-source with privacy features that help keep you connected, no matter where you are. 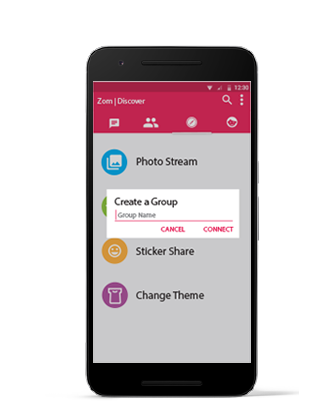 Once connected on Zom, you can send free text and voice messages, share photos, stickers and more! 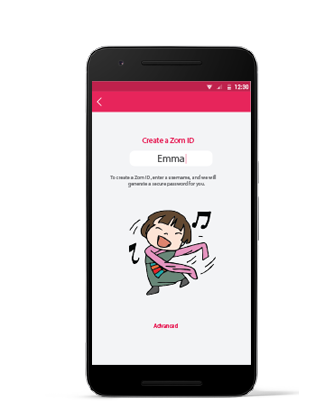 Zom's security and privacy features are powered by the amazing foundation created by the ChatSecure project, and works with other great apps like Conversations. 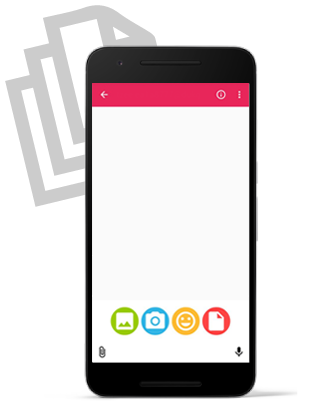 Learn more about ChatSecure and Conversations. Create your own group. Never miss an update from your family and friends. Start exciting conversation and debates and keep them running. 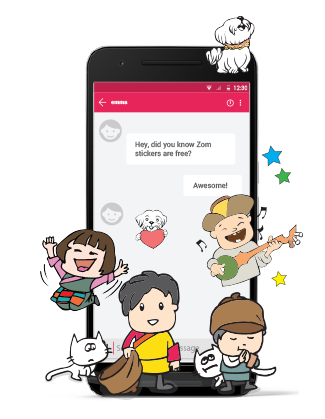 Zom stickers are unique and can be shared across many apps. Where can I use Zom? Zom is available for iOS (iTouch, iPad & iPhone) and on Android devices (Phones & Tablets). Can anyone other than my friends see the messages I send and receive in Zom? At Zom, we make sure that no one else but your family and friends see your message. Where can I download Zom? How do I register an account on Zom? 1. Install Zom on your device. 2. Open and click on the Welcome bubble. 3. Create a username and you are ready to Zom! * Advanced options are available. How do I add a friend in Zom? Zom has a few options for adding friends. You can add/invite friends right after you register, as well as by clicking on the 'Add friend' icon on bottom right of the 'Friends' page. SMS: You can invite friends using your regular SMS. FYI - Charges may apply if your cellular service provider charges you for sending texts. Share: You can share an invite link for FREE through all communication apps like Email, Chat, Social Networking apps, etc. Scan: If your friend is right next to you, you can scan QR Codes to add. It is quick and simple. Direct Invite: You won't run out of options if you or your friend resist regular communication apps. You can directly add their username into your friend list. How do I start chatting? Go to the Chat page. Click on the + (plus) sign at the bottom right. Choose a friend you want to chat with and you are ready to chat. 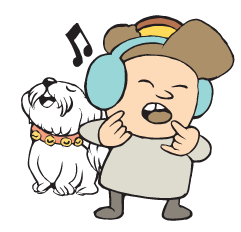 Click on the Microphone icon to the right of text box. 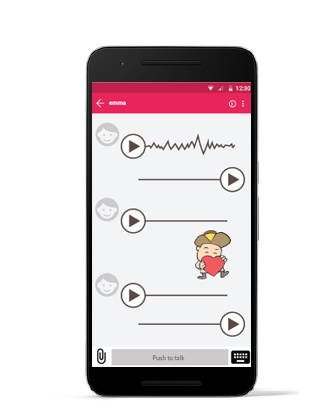 Keep pressing the talk button while you record your voice and once you finish, release it and the message will automatically be sent to your contact. How do I cancel a voice message before sending/while recording? If you have started recording a message, but want to re-record or not send the message at all, just swipe up and release. How do I send an image? Click on the Attach icon to the left of the text box. The first option is to select existing photos from your photo gallery. The second option is to take picture and send. How do I send a sticker? Click on the Attach icon to the left of the text box. Select the Smiley face icon and swipe left to see all available sticker packs. Zom stickers are unique and fun! How do I know if my contact has received my msg? You will see the double check mark, instead of just the single "sent" checkmark. How do I delete contacts? Go to the 'Friends' page and press on the Friend you want to delete. A delete option will appear. Click on 'OK'. You can always connect with that friend again by adding them back into Zom. How do I start a group chat? Go to the Zom 'Menu' (three vertical dots on to right) and select 'Create a Group'. Create a name suitable for the group and click on 'Connect'. Once the group is created, on top right, select the 'Add friend' icon to start adding friends to the group. Enjoy being constantly connected to your loved ones! To delete a group, in 'Chat' page, swipe the group to the right. Zom has a few options for adding friends. You can add/invite friends right after you register, as well as by clicking on the 'Add friend to Zom' button in 'Chats' and 'Add Buddy' button in 'Compose'. SMS: You can invite friends using your regular SMS. FYI - Charges may apply if your cellular service provider charges you for sending texts. Share: You can share an invite link for FREE through all communication apps like Email, Chat, Social Networking apps, etc. Scan: If your friend is right next to you, you can scan QR Codes to add. It is quick and simple. Direct Invite: You won't run out of options if you or your friend resist regular communication apps. You can directly add their username into your friend list. Click on the 'Compose' image on top left on Chats page. Select a friend to chat with and click on the check mark at the top right of the screen and you are ready to chat. Click on the Camera icon to the left of the text box. Choose the first option, 'Take Photo or Video' to take an instant photo or select 'Photo Library' for sending existing photos. Click on the Camera icon to the left of the text box and select 'Sticker' and choose a sticker from the sticker packs. Press on the contact you want to delete. Swipe to the left and click on Delete. To start a 'Group' in an iOS device, go to the 'Compose' page and click on the contact you want to add to the group. Once the check mark appears, continue selecting others to add to the group and then 'Click' on the Check Mark icon on top right of the screen. Enter a group name and click on 'OK' and you are set to connect. Copyright © 2018 Zom. All screenshots © their respective owners.